AN CAFE – Live DVD ANCAFESTA 12 SUMMER DIVE available all over Europe on May 3! Even though fans of the famous Oshare Kei Band had to wait for a while, the release date for the European release of ANCAFESTA 12 SUMMER DIVE has been scheduled for May 3! The 2-disc Box comes with a runtime of around 170 minutes of pure An Cafe fun and live madness! 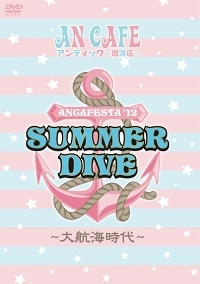 Disc 1 captures the first concert day of An Cafe�s comeback show ANCAFESTA 12 SUMMER DIVE daikoukaijidai. Disc 2 is offering 2 documentations, including behind the scenes footage and impressions from their European and South America tour. Miku and his bandmates are performing hits like SUMMER DIVE, amazing blue with more and passion and energy than ever before, which makes this release so exciting! A lot of tears have been shed when fans all around the world had to face the truth that AN CAFE would take an unlimited timeout. But luckily Miku and his comrades took a second thought and decided to return in 2012! And even if it became quiet around the famous Oshare kei band, the response was enormous when the great news had been announced on April 1st. 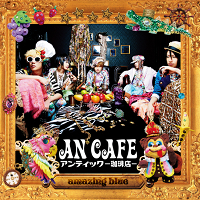 Once again An Cafe is ready to conquer the world with their brand-new mini-album amazing blue, that will be released on the 17th of August all over Europe. 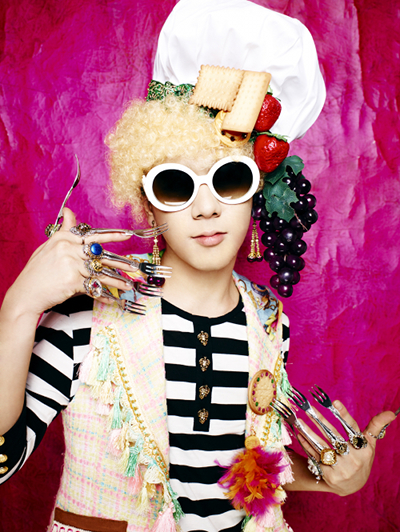 The record will include 7 new tracks and a photo card of one of the members. But that�s not all � there will be a unique code on the back of each photo card which gives access to video content online, including footage of “An Cafe Reopen” on April 1st (Director’s cut), video clip of amazing blue and a making of. So there is no doubt that amazing blue will become a very special release that will raise expectations even higher along with the forthcoming European Tour that will start in November this year!